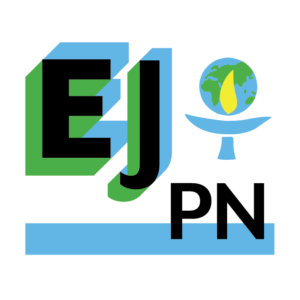 The Environmental Justice Practitioners Network (EJPN) Webinar Series — a program offered by the UUA Green Sanctuary Program and Unitarian Universalist Ministry for Earth — was thrilled to host a conversation with Elandria Williams. 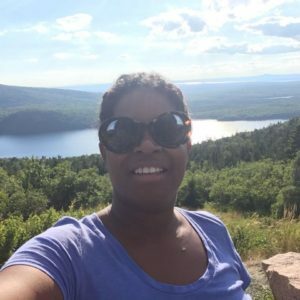 Elandria Williams is the training director at PeoplesHub, an interactive online training school that supports people and groups where they live. Elandria also provides cooperative development support to cooperatives mostly in the Southern United States and is a co-editor of Beautiful Solutions, a project that is gathering some of the most promising and contagious stories, solutions, strategies and big questions for building a more just, democratic, and resilient world. Beautiful Solutions has a web platform, trainings and a book soon to be released. Elandria most recently for the last eleven years worked at the Highlander Research and Education Center first as the youth/inter-generational programs director and then helping co-coordinate the Economics and Governance programs including the Mapping Our Futures Curriculum and the Southern Grassroots Economies Project. Elandria also serves on the boards of the Southern Reparations Loan Fund (SRLF), US Solidarity Economy Network, Appalachian Studies Association, the Movement for Black Lives Policy Table and are one of the Co-Moderators or Chief Governance Officers of the Unitarian Universalist Association.